There is now unprecedented alignment on security between India and the US, the same needs to happen on trade, writes India Inc. Founder & CEO Manoj Ladwa. 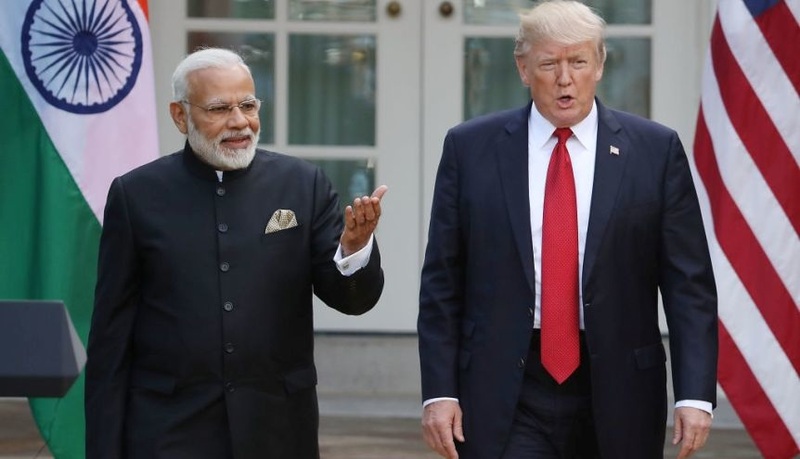 The unprecedented US support for India and its right to self-defence following the Pulwama terrorist attack last month, has highlighted how far the relationship has come between the two previously wary partners. There has been significant strategic alignment on defence and geopolitical matters. This is hugely encouraging. But the picture changes quite dramatically when you look at trade ties. Where the picture is much more transactional, especially from the US side. Bilateral trade was at $126 billion in 2017. Impressive at first glance, this figure, most experts and stakeholders say, is actually just about a quarter of the potential. I think it’s fair to say that the two countries have had more than their share of differences on a range of trade-related issues – from India’s new rules for e-commerce firms and data localisation, which have affected US firms like Amazon, Walmart, Visa and others, Indian tariffs that US President Donald Trump says are very high, to the recurring and persistent trade surplus in favour of India to US tariffs on Indian steel and aluminium exports, among several other things. Dig a little deeper and you’ll find that there are several other fault lines. The issue of H1B visas for Indian professionals and work visas for their spouses has been a longstanding area of discord between the two strategic allies as has the US government’s grouse about India’s historically lax intellectual property regime. I wasn’t expecting any of these issues to be resolved at a scheduled meeting between Indian Commerce Minister Suresh Prabhu and US Commerce Secretary Wilbur Ross, which ultimately did not go ahead as the latter called off his India visit due to bad weather back home. Despite the media build-up prior to the meeting in mid-February, it had been announced earlier that the US Trade Representative, who has been reviewing India’s eligibility as a beneficiary of its Generalised System of Preferences (GSP) under which the country has enjoyed zero tariffs for about 2,000 goods exported to the United States that are worth $5.6 billion, would conduct the negotiations on behalf of the US. News agency Reuters reported that the USTR is considering withdrawal or at least a partial rollback of this concession because of a perceived lack of reciprocity on this count, India’s stringent new rules of engagement for e-commerce companies and its new data localisation rules that mandate foreign card payment companies, such as Mastercard and Visa, store data in India. I was looking for signs of thaw and I feel there is reason for optimism, subject, of course, to the usual health warnings that should accompany any prediction relating to the Trump administration’s actions. The two countries decided to boost trade in defence, energy, pharmaceuticals, aerospace, pharmaceuticals and healthcare. Seven groups of chief executives from leading US and Indian companies will oversee this process that will also try and engage small and medium enterprises from both nations. “The working groups have been formed among the CEOs. They will be providing recommendations to the government,” US Ambassador to India Kenneth Juster told the media. “We resolved to facilitate two-way trade and investment to build on such growth,” Indian Commerce Minister Prabhu said in a tweet. The signals are more important than the concrete takeaways. The US will ,I am sure, understand that the recent measures announced by New Delhi on e-commerce and data localisation are driven by its imperative of ensuring a level playing field and creating jobs for the millions of youth who are entering the work force every year and to ensure the security of information of Indian nationals. Obviously, the stakes are huge on both sides. The US President is not likely to dilute his image by conceding India’s demands. And India cannot and will not walk back from its demand for easing H1B visa curbs and other trade related issues. The two countries have so much in common. As I have written above, there is considerable alignment on almost all other issues. In my opinion, trade is one area that has the greatest potential to impact the most number of people on both sides and build on the already strong foundation to take forward what many people think could become the defining partnership of the twenty first century. It will need careful, patient and politically sagacious negotiations from both sides to arrive at a win-win situation. This will take time – possibly stretching several months if not more, and certainly after the upcoming Indian elections. Meanwhile, the two sides should focus on the many issues they agree on and deepen the bilateral engagement. The working groups set up, especially those on water and environment, ICT, entrepreneurship, inclusive growth and promotion of small businesses, will work in sectors that have huge impact in both countries. However, ultimately I believe these two great democracies must work towards a composite trade agreement, rather than using proverbial blunt instruments to regulate trade. From the goodwill generated these past few days, I certainly believe that such an ambitious framework is both achievable and also a necessity for lasting success.